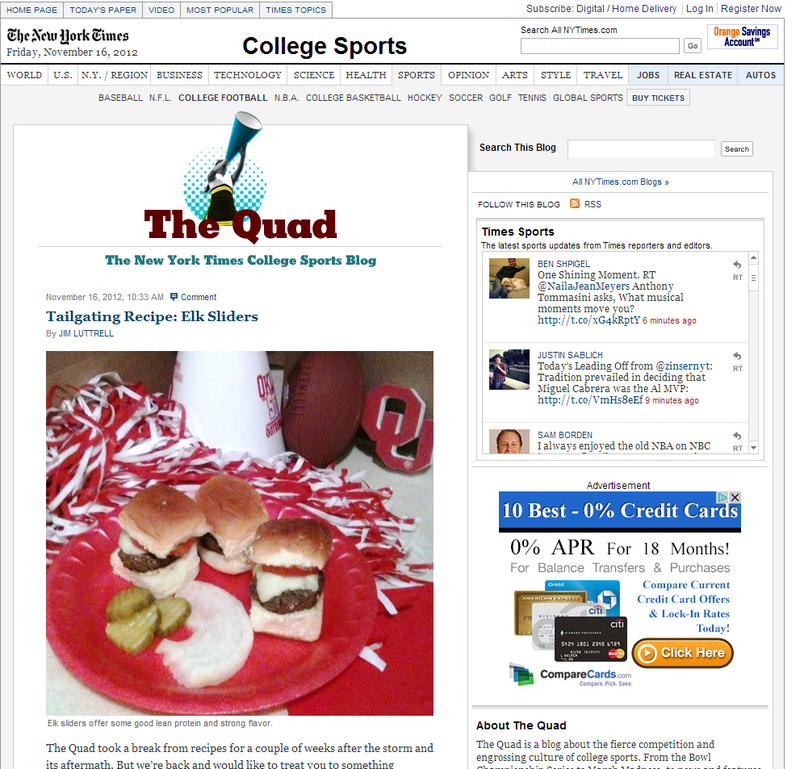 I submitted our Elk Sliders recipe to the New York Times Sports College Blog and they posted them today! So excited! Thanks for the kind words! Great pictures from the game. If you are in town for a game next year, let me know. Would love for you to stop by our tailgate.